Gone are the days when cheering for your favorite sports teams meant watching them sweat it out on the playing field with bats, balls or racquets. To many millennial and Gen-Z sports fans, their sport of choice could very well be an electronic game. The games typically played at eSport tournaments are multiplayer games where each squad member has their own game character and defends the entire squad from attacks by the opposing teams. Famous eSport games include Dota 2, Counter-Strike, Fortnite, and StarCraft II, all of which enjoy massive popularity and involve huge monetary winnings at tournaments. The eSports industry has burgeoned rapidly in the last ten years and now includes major tournaments around the world with significant sums of prize money involved. This isn’t just some temporary craze either – the interest of the public in eSports has reached what is commonly termed as a ‘critical mass’ point, wherein there are enough viewers, tournaments, and sponsors available for eSport players to earn hefty esports salaries and enjoy a full-time gaming lifestyle. With the increasing population of young people who prefer to stream sports matches on their smartphones or tablets, eSports are well on their path to be legitimately recognized as football or hockey as a sport. While eSports are often played and enjoyed by amateurs, there are major teams around the world who have won accolades for their gaming abilities at various tournaments. Like any other sports alliance, eSports teams have owners and sign contracts with players, and seek sponsorships to help them play. Teams typically produce a good deal of social media content featuring the products of their sponsors, which can be streamed live on platforms like Twitch. They sell their own merchandise such as hats and T-shirts and make money through that. Read on to know about some of the top eSport teams globally, along with how much money eSports players make. A team based in San Francisco whose members hail mostly from North America was originally founded by Alexander Garfield in 1999 as a Canadian Counter-Strike squad. They foray into Dotabegan with the entry of Sumail Hassan into the team – hailing from Pakistan, Sumail moved to the United States in 2015 after several successful years as a Dota player. The squad ended up winning the Dota Asia Championships a month after Sumail arrived. 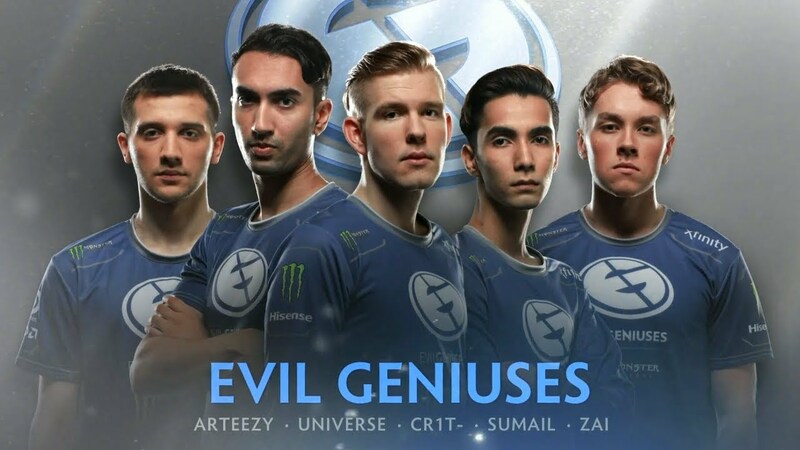 Today, Evil Geniuses is a subsidiary of the Amazon-owned GoodGame Agency. Often abbreviated to EG, the esport alliance also displays prowess in games like World of Warcraft, Halo, StarCraft II and Call of Duty. This Europe-based squad is a relative newcomer to the world of eSports, which makes their track record in the last few years all the more impressive. The team was originally known as Monkey Business, which rebranded itself as Team OG in early 2015. As Dota 2 specialists, their big break happened at the Frankfurt Major 2015 where they won the tournament over more seasoned teams like Evil Geniuses. Team OG also carried off the victory at the Manila Major 2016, making them the first Dota 2 alliance ever to win two of the major tournaments. Judging from their astonishing performance in their initial years, many more victories are undoubtedly in store for this tenacious team. Keen to show them your support? You can wager on them here to win their next Dota 2 Tournament. This is a Chinese eSports team that is famous for playing more games than any other team. Newbee, in fact, has designated players for sports like Dota 2, League of Legends and Hearthstone. They first came into the spotlight for winning The International 2014 – and grabbing huge prize money of $5 million, that set a Guinness World Records for the highest prize winnings in a gaming competition at the time. The London-based eSport team was formed all the way back in 2004 by mother-son duo Sam and Anne Mathews, who predicted that eSports would gain huge popularity someday. They assembled the best players from around the world for their squad, and today the team prominently features many Swedish players. Their first major success came with their winning the first ever League of Legends World Championships in 2011, and the League of Legends team still holds the record for the highest number of split titles in the EU LCS (five out of seven). The squad also specializes in games like Dota 2, Hearthstone and Counter-Strike. Their Counter-Strike team, in fact, is widely deemed to be one of the best of all time, with three victories at the CS:GO Majors. You can show them your support by placing wagers on them here for their next CS:GO game.